This past month has been a ton of parties for me and I love it! Just this past weekend we had our daughters 2nd Birthday party. I’ll share the details on that soon. But today’s birthday party is a really special one; its also something I wish I’ve done more of over the years. 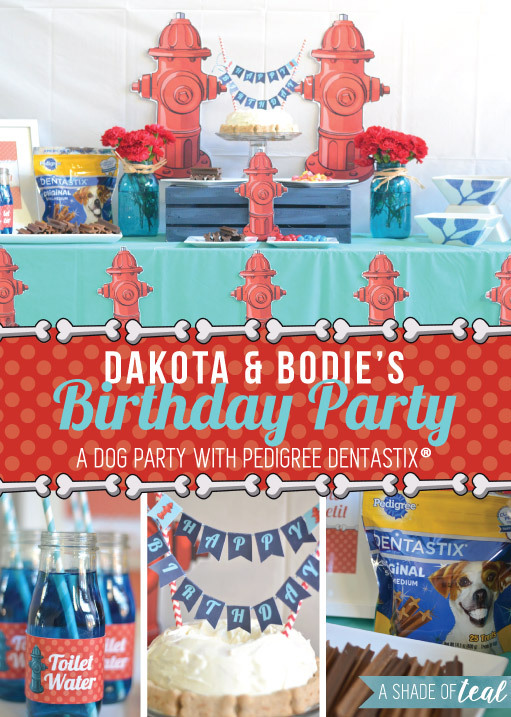 Were celebrating Dakota & Bodie’s birthday! These are my pups if you couldn’t tell! Taking pictures of both dogs together is so hard, but this picture makes me laugh. Dakota is our yellow lab and is 12. Bodie; our Jack Russell mix, we rescued so we assume he’s about 10. Both these guys are crazy but we love them; especially my daughter. She’s quite obsessed! 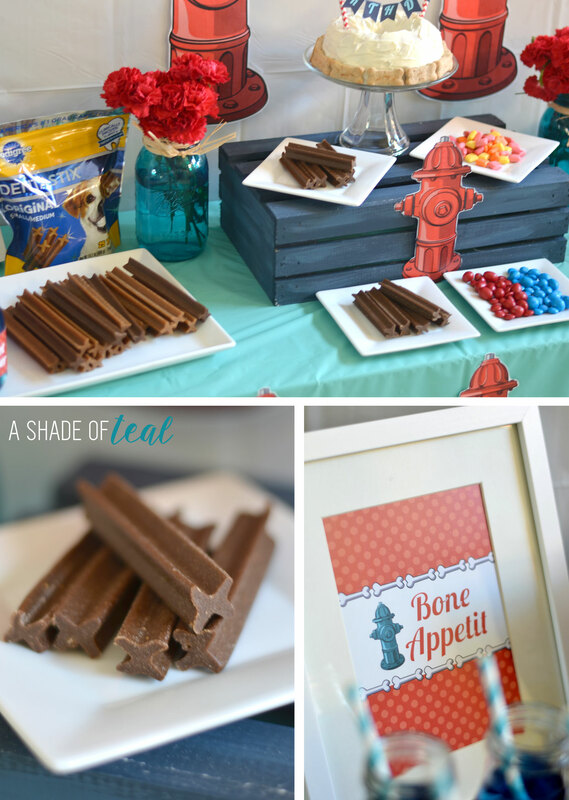 Well I got to planning and teamed up with Pedigree Dentastix® and Share Funshine to make this party really special for my pups. 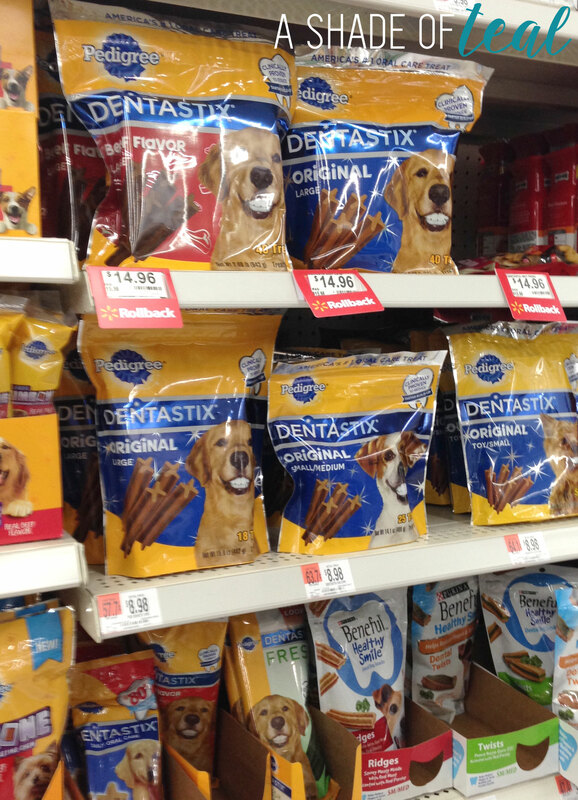 I purchased my Pedigree Dentastix® Original at my local Walmart. 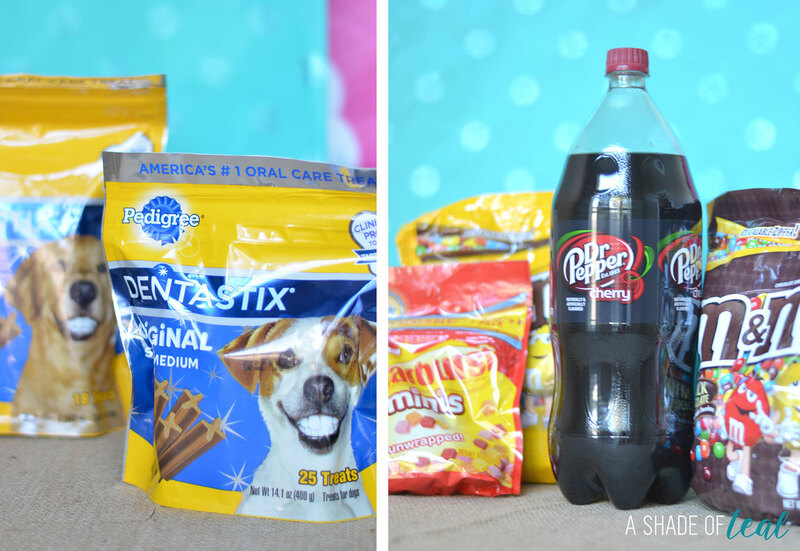 My dogs really love these treats, and I love them because they help with their breath! While at Walmart I also picked up some adult treats! 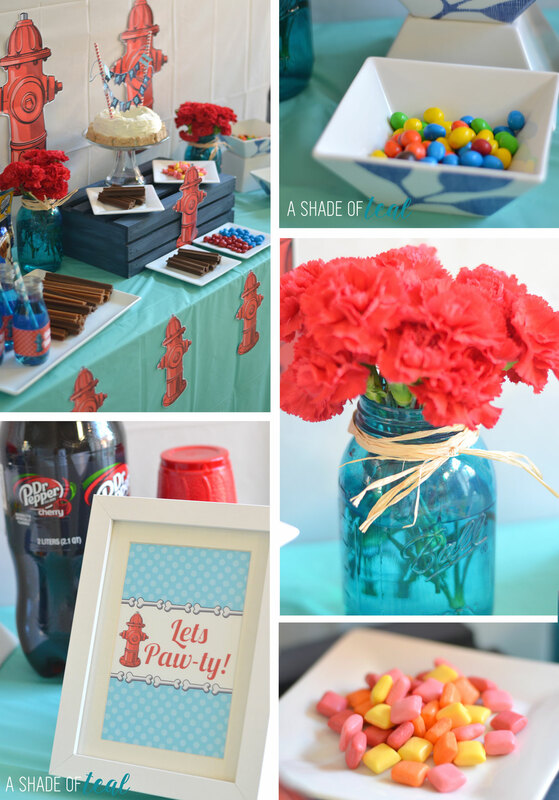 Whats a party without snacks for everyone. I have to tell you these Starburst® Minis Unwrapped are soo addicting, I can’t stop eating them! Also, if you would like to enter in the #ShareFunshine Sweepstakes, please do here. Once I got home I put together this table-scape. Trying to keep the pups away was a challenge since all they wanted was the Pedigree Dentastix®. 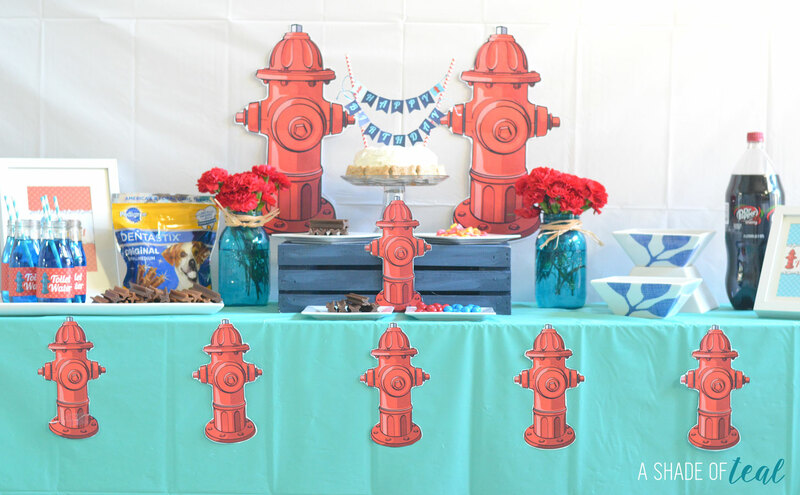 Now the details, I love party details! 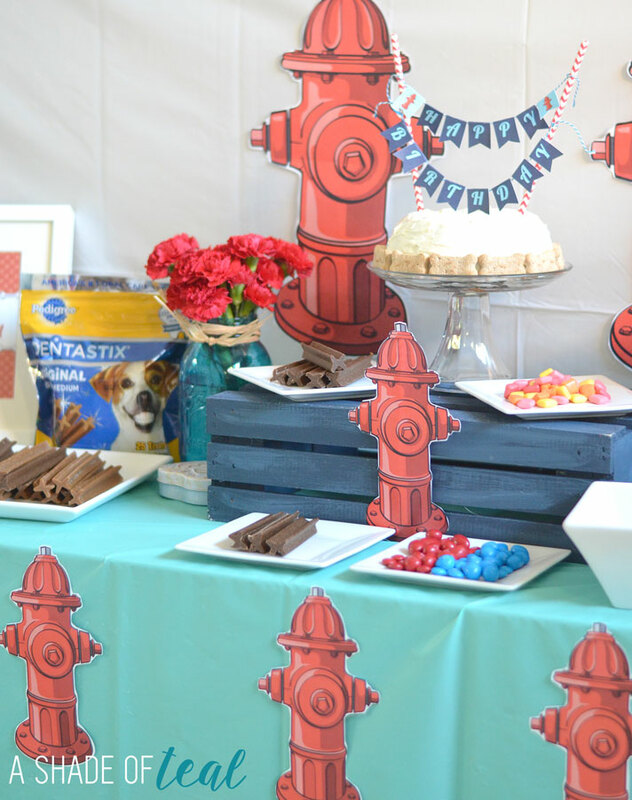 I did the left half of the table dedicated to my pups and the right half was for the adults. First download & print your free printable. I like to use card stock but standard paper works just as well. Then cut out each piece, the dashed line is your fold line so don’t cut there. Next, take some string and start folding the flags over the string (reference where to fold by the dashed lines) and add a piece of tape. Repeat this for “Happy” and then do the same with “Birthday” but on a separate string. Now take your 2 straws and lay them on a table. You’ll then tie each string to 1 of the straws. Then tie the other half of the “Birthday” string to the other straw. 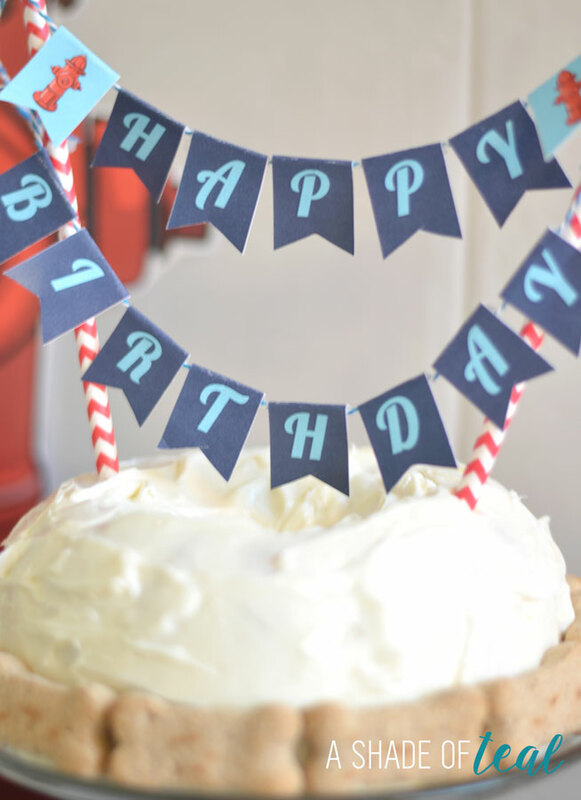 Next is the most trickiest part; angle the straws as if you were putting the into the cake, then tie off the last string so the “Happy Birthday” sits well. Once you got that they’re ready to be placed into the cake. I love making these little bunting toppers, once you get the hang of it their super easy. 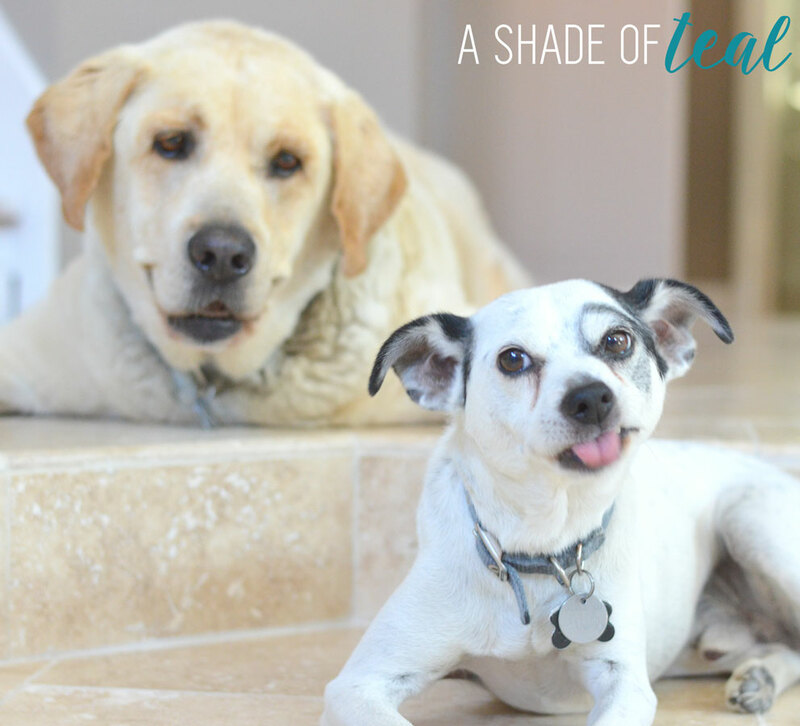 My pups loved the Pedigree Dentastix®, can’t you tell. Keeping that hat on was the challenge. 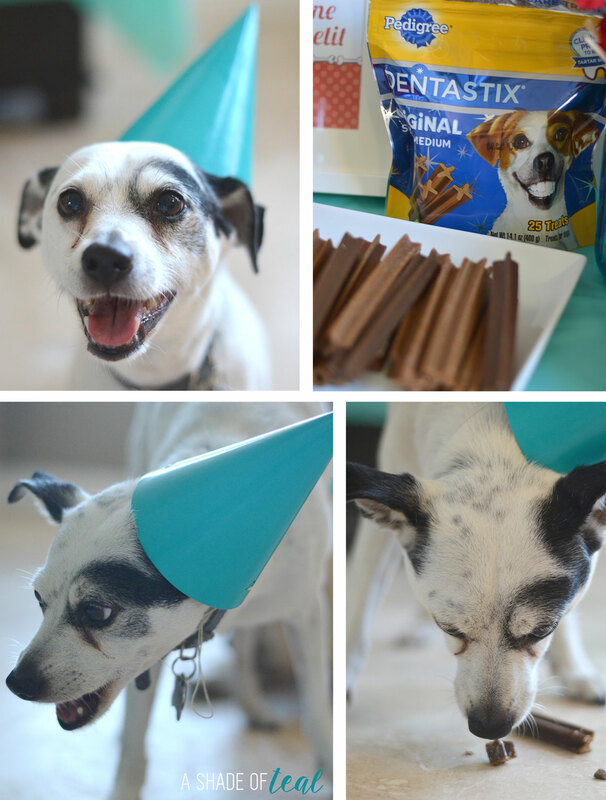 Have you ever thrown your dogs a Birthday Party? I’d love to hear your favorite ideas! Don’t forget to enter the #ShareFunshine sweepstakes or Download the Blippar app from your Apple or Android store to scan your package and receive exclusive content. Thanks Heather! My daughter definitely loved this party, so I’m sure yours would as well!! !